The Chiha-ri base functions both as a missile brigade support base and as a launch facility. As a technical support base, Chiha-ris function is to maintain, repair and refurbish operational missiles. The engineers and technicians here likely perform duties similar to those of personnel at Iraq's Taji facility. It is conceivable that support and launch functions are both located at Chiha-ri. In June 1990, US satellite imagery reportedly revealed the construction of two missile launch sites near the Demilitarized Zone (DMZ). Although the locations were not revealed, they were probably Chiha-ri and Sariwŏn. 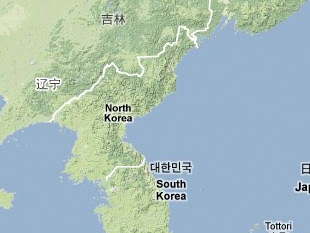 There is another missile base near the DMZ at Shin'gye-kun, but Scuds were reportedly deployed to Shin'gye-kun in 1988. Therefore, Shin'gye-kun is excluded as a possibility for the June 1990 imagery. The two launch sites were believed to be for Hwasŏng-5 (Scud-B) missiles in the early 1990s. In November 1998, North Korea was reportedly building a launch facility for the Paektusan-1 at Chiha-ri, but it is not clear if this is a replacement for, or an addition to, the Hwasŏng launch site. Therefore, Chiha-ri may be capable of launching Hwasŏngs, Nodongs, and the Paektusan-1.